That moment when you discovering that your basement has become engulfed in water is never pleasant, and it is easy to immediately become overwhelmed by the situation. Knowing that you may have possibly incurred thousands of dollars worth of water damage in your property is never a thought that is easy to wrap your head around, but having professionals that you trust standing by to answer any questions you may have can make the whole process way more manageable. 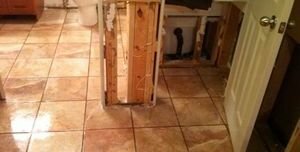 Even though it is important to have a restoration company on your side, to best maintain your household it is necessary to understand how water can invade your basement and the different ways in which you can remediate the situation. 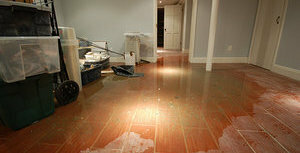 Whether your basement is finished or unfinished, the space is prone to leak and flood incidents just the same. If the gutters and downspouts on your roof become clogged with leaves, branched and other debris, then rain runoff will be unable to sufficiently drain, and could flow back into the home, leaking into the basement. When a storm rages in the community then the ground can become oversaturated. When this occurs the moisture can no longer soak into the ground and needs somewhere to go, so it can leak into any small cracks or fractures leading into the basement. Being as aware as you can of any cracks on the outside of your home, damaged structures on the roof and foundation issues will help you prevent future leakage incidents, which will in turn save you time and money. One of the easiest and most effective ways to keep your basement from flooding is to have a moisture-activated sump pump installed in the space at all times. This means that as soon as the equipment detects any moisture in the room, it will turn on and begin pumping out water. Extracting the water is always the first step that needs to be taken when dealing with a flooded basement, even if this means simply laying down towels and using mops to soak up the invasive water. For larger leaks, vet vacs will be necessary to dry the area, which can be rented or purchased at almost any hardware store. Once the majority of the moisture is extracted, then the drying process can begin. By simply turning your heat on in your home you can speed up the drying time. Opening up windows is also necessary to let out the humidity. If you have fans handy you can use them to keep the air circulating throughout the space. Remember to place the fans angled so they are flowing out of the room, rather then keeping the moisture inside the basement. If you are unable to get the basement completely dried and moisture-free on your own, call a professional water extraction company to get the job done quickly.